Films can be one of the most important tools in Christian education. In the films we can find the problems of our society, biblical messages, and God who is working in the problems of our time. Therefore, the purpose of this study is to reflect on the problem of discrimination through the chosen films. The problem of discrimination is serious both in America and South Korea. Especially, the number of foreign workers from Southeast Asia is rapidly growing in South Korea. Many South Korean are proud that South Korea is a single-race nation. As a result, there are a culture of discrimination between South Korean and foreign workers (and their families). Through this paper, I will reflect on the problem of discrimination theologically and present the possibility to solve the problem. 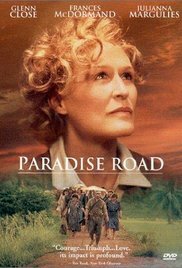 In critically reviewing four films (Paradise Road, Places in the Heart, Gran Torino, and The Boy in the Striped Pajamas), focusing on the problem of discrimination, I will deal with five theological/biblical themes: sin, cultural chauvinism, good news, incarnation requiring sacrifice, and the kingdom of God. First, in the film Paradise Road, there is a conflict between Japanese soldiers and women prisoners. It is the result of ethnocentrism and racism. However, interestingly some conflicts also exist among the women prisoners because there are different kinds of ethnic groups and races among them. Even analyzing their dialogues, we can find that the differences of class exist among them. Therefore, in this film, classism, racism, and ethnocentrism are shown. Second, the film Places in the Heart reflects the era of racial conflicts between white Americans and African Americans. For example, white supremacists attempted to kill a black drifter, Moses, one of the main characters in this film. Furthermore in the beginning of this film, a young black boy destroyed the family of the main female character by killing her husband. Third, in the front part of film Gran Torino, Walt Kowalski, who is a tough-minded white man and main character, does not get along with his neighbors, Asians who are Hmong immigrants. This shows us the negative attitude of white people toward Asians; this is the problem of racism and white supremacy. Lastly, the film The Boy in the Striped Pajamas shows a historical situation where the Germans hated the Jews. This discrimination is based on the racism and extreme ethnocentrism. We live in culture because all humanity is cultural existence. Here, culture means “all the symbols through which a particular people create and express a common form of life together with shared patterns of meaning, attitudes, and values.” However, the problem occurs with the premise that a superior culture exists; this is called cultural chauvinism. The problems of classism, racism, and ethnocentrism presuppose the theme cultural chauvinism. In the four films that I mentioned above, cultural chauvinism is revealed in the relationships among the characters. First, in the film Paradise Road, the Japanese regarded their culture as the most superior in the world. Japanese soldiers tried to inject the idea that Japan is nation number one into the mind of prisoners. Furthermore, they forced the prisoners to follow Japanese traditional customs. Therefore, the prisoners were made to bow deeply when they greeted with the Japanese soldiers. Furthermore, even though prisoners were on the same level together, many of them did not respect each other’s culture and fought with one another, maintaining the superiority of their own culture. Second, in the film Places in the Heart, five people who had different cultures—an African American (Moses), a blind veteran (Will), a widow (Spalding), and two orphans (Frank and Possom)—gathered together in a house after the husband of Spalding was shot to death. At first they did not try to understand one another, stuck within their own culture and life. Third, in the film Gran Torino, the main male character (Walt Kowalski) gazed in contempt upon Asians who lived next door. He could not understand the lifestyle and culture of Asians. Seeing the tall lawn next door, he said that “Polarski would roll over in his grave if he could see this lawn now.” He did not accept the culture that Asians like longer grass. Lastly, in the film The Boy in the Striped Pajamas, Ralf, who was a German Nazi officer, took the lead in killing the Jews, with false understanding that the race and culture of Germany have superiority over others. Even though the young main character (Bruno) was not interested in the superiority of Germany, he did not understand the culture of his friend (Shmuel) when they sat opposite each other with the fence between them; he could not know why Shmuel wore clothes like pajamas, devoured bread, and did not play with a ball. The Bible offers us a vital clue that many kinds of cultures are in harmony with one another: “There is neither Jew nor Greek, slave nor free, male nor female, for you are all one in Christ Jesus” (Galatians 3:28). Jesus Christ gives us good news, and this is connected to the hope for salvation. In his inaugural sermon, Jesus infuses new hope for salvation into people: “The Spirit of the Lord is on me, because he has anointed me to preach good news to the poor. He sent me to proclaim freedom for the prisoners and recovery of sight for the blind, to release the oppressed to proclaim the year of the Lord’s favor” (Luke 4:18-19). The meaning of salvation includes both spiritual and physical dimensions. Korean Christians have longed for infinity and eternal life so they emphasize the spiritual aspect of salvation. The phrase that Korean Christians like the most is John 3:16: “For God so loved the world that he gave his one and only son, that whoever believes in him may have eternal life.” They have much interest in this eternal life. On the other hand, Christians in the poor countries focus on the physical aspect of salvation. They recognize the meaning of salvation as the liberation from hunger. The gospel is food. This salvation would be realized “in the present time, not a time indefinitely prolonged.” Therefore we should have a holistic understanding of salvation, embracing both spiritual and physical aspects. However, this good news is not always connected to the hope for salvation because not all people receive this good news. Therefore, we should persuade non-Christians to receive this good news, so that they can have a real hope both for spiritual and for physical salvation. According to the theology of incarnation, God discarded divine authority and came to us. In other words, God gave up a divine culture and came to a human culture. God approached us with a method of assimilating to a human culture, and performed the victory of salvation within it. The incarnation is based on God’s love, in Greek Agape. Through self-giving love God showed the mystery of incarnation. Likewise, if we have God’s love, we can approach others and receive their cultures with humility. In the films Gran Torino and The Boy in the Striped Pajamas, the theme the theology of incarnation is revealed. First, in the film Gran Torino, after being invited by Sue, who was a young Hmong neighbor, Walt Kowalski hesitated about whether to go to the barbecue party in her house. Sue eventually persuaded him, and he decided to go to her house. Walt, who had ignored Asians, gradually entered the Asian culture. Sue explained the Hmong culture one by one: “Never touch a Hmong person on their head, not even a child. Hmong people consider looking someone in the eye to be very rude. Hmong people tend to smile and or grin when they are yelled at.” Stubborn Walter came to understand their culture and even showed the response of acceptance when listening to the words of an Asian shaman. He ate the Hmong traditional food, surrounded by Hmong women. After the party, he received them when Hmong brought Hmong food to his house. Through the effort of coming into another culture, he could accept it, not adhering to the superiority of his culture. Without self-sacrifice, it would have been impossible. Second, in the film The Boy in the Striped Pajamas, the example of incarnation is clearly shown. In order to understand the culture of his friend and to solve his problem, Bruno came into the Jewish prison camp, taking off his good and clean clothes and wearing a dirty and dreadful prisoner’s uniform. Bruno met his friend after going through a wire fence with difficulty. Bruno’s action clearly refers to Jesus’ incarnation. Looking at the reality of the prison camp, Bruno came to understand his friend’s painful life. In the four films, the kingdom of God was established after solving the problem of cultural conflict. First, in the film Paradise Road, prisoners came to be one in music. Even though they were different, they sang in perfect harmony and their small concert touched many people, including the Japanese soldiers, their enemies. Love flowed in music so that the kingdom of God was established in the beautiful concert. Second, in the film Places in the Heart, sharing the hope for the prize and harvesting cotton together, Moses, Will, Spalding, Frank, and Possom changed into a real family. This new family entered “a realm of trust, harmony, peace, and intimacy where, at the very least, violence and discord are no more.” This new family came to have “the depth of mutuality and care.” Even in the film’s last frames, Roy, who was killed by Wiley, and Wiley, who killed Roy, “exchanged Holy Communion and the peace of God. “Reflecting a key element in services of Holy Communion, the forgiveness offered and received in the meal itself is a crucial trigger for the healing of wounds in the community.” This Holy Communion showed the realization of the kingdom of God. The extremity of divine love can forgive and reconcile, and seek to “mend and heal the weary and broken-hearted in a sorely broken world.” Third, in the film Gran Torino, Walt Kowalski came to get along well with his neighbors and made friends with Thao and Sue, even despite the age gap between him and Thao or Sue. Walt, Thao, and Sue were like a family, and there was love in their companionship. To Walt, who lived his life in hatred and wrath, this loving companionship itself was the kingdom of God. In the long run, Walt sacrificed his life in order to solve the problems of Sue and Thao, not his own problems, in the last scene. Finally, in the film The Boy in the Striped Pajamas, Bruno held Shmuel’s hand tightly, which showed that they were one in their friendship. Bruno wanted to find Shmuel’s father in order to relieve his anxiety, but Bruno had to enter the gas chamber. Although this place was so dreadful, there was the kingdom of God because there was genuine love toward his friend. It was a beautiful irony. Films can be important visual and auditory materials for Christian education. Furthermore, we can meet with diverse culture through films and indirectly experience many things. Therefore, with the recognition of the usefulness of films, we can theologically reflect on the problem of our time. In this paper, I tried to reflect on the problem of discrimination with the perspective of Christian theology. Through the reflection, I found the causes of the problems, and the solutions. Finally, I hope that Christian educators use the films for teaching the Bible and theology. For this, Christian educators should be able to have abilities to analyze the contents of the films, to find meanings in the films, and to reinterpret the meanings in light of the Bible and theology. The use of films in Christian education will result in the expansion of educational curriculum and in the development of educational methodology. Clive Marsh, Theology Goes to the Movie-An Introduction to Critical Christian Thinking (Abingdon: Routledge, 2007), 70. Paul V. M. Flesher and Robert Torry, Film and Religion-An Introduction (Nashville: Abingdon Press, 2007), 140. Clive Marsh and Gaye Ortiz, Explorations in Theology and Film (Oxford: Blackwell, 1997), 103. Thomas H. Groome, Sharing Faith (New York: Harper Collins, 1991), 99. Christopher Deacy and Gaye Ortiz, Theology and Film-Challenging the Sacred/Secular Divide (Malden: Blackwell Publishing, 2008), 181. Thomas H. Groome, Will There Be Faith? (New York: HarperCollins Publishers, 2011), 111. Roy M. Anker, Catching Light: Looking for God in the Movies (Grand Rapids: Eerdmans, 2004), 145. Clive Marsh and Gaye Ortiz, 54.